Sasha Rodriguez was 15-years-old when she went to Electric Daisy Carnival (EDC) at the Los Angeles Coliseum in 2010. After a night of experimenting with dance music’s beloved molly (MDMA, or ecstasy), Rodriguez overdosed and died at a nearby hospital. The repercussions of the incident banned EDC from LA forever and placed a dark cloud over the dance music culture and large music festivals in general. But her death also raised another important question: Are festival producers doing anything to help prevent drug-reated deaths? Music festivals and drugs go together like Cheech and Chong or wine and cheese: It’s nearly impossible to have (or sometimes want) one with out the other. Even though music festivals—by law— are drug-free events, it’s naïve for festival producers not to prepare for the inevitable—and the consequences of the inevitable. 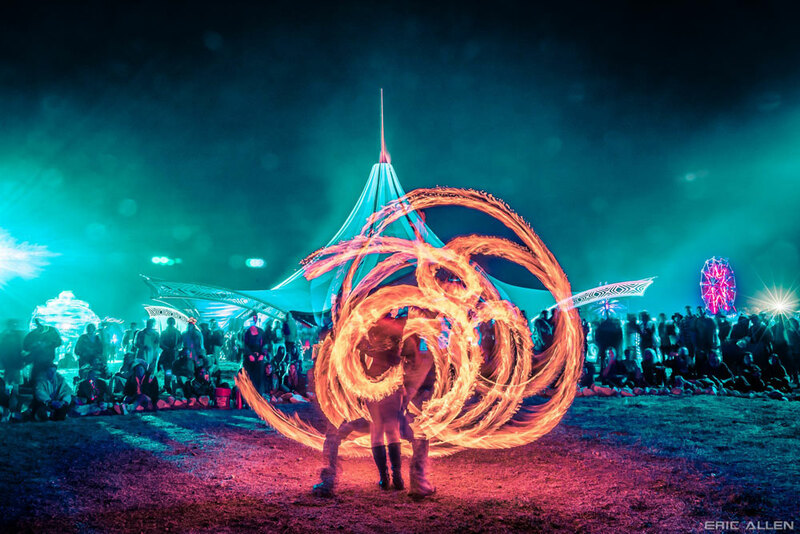 Over the last 12 years, the Do Lab has developed an impressive system that’s made their festival-baby, Lightning In a Bottle (LIB), one of the safest festivals in the scene—and it’s not by eliminating drugs from the event. This weekend LIB will celebrate its 13th rotation around the sun in Bradley, Ca. One way they’re preparing for the surge of 20,000 plus attendees is by incorporating elements of harm reduction into the festival. Harm reduction is, essentially, a set of practical strategies aimed at reducing negative consequences associated with drug use. So what, exactly, do these strategies entail? Basically, the Do Lab’s built a hefty, interconnected harm reduction unit with several moving parts. Walking around the festival grounds in khaki shirts are the LIB rangers, many of whom are also rangers at Burning Man. They specialize in conflict resolution and also have radios on them to call in reinforcements in case someone is in need of help. Flemming refers to them as the “eyes and ears” on the festival grounds because they’re usually the first to respond when an issue arises. The rangers also provide an alternative group to go to if you don’t want to involve security. The Zedno project by MAPS will also have an area at the festival for people to retreat to if they’re having a bad trip. Their tent offers a comfortable oasis (or hideaway) from the festival chaos, which often triggers a bad trip. Specifically, the Zendo project is a harm reduction organization that formed under the Multidisciplinary Association of Psychedelic Studies (MAPS). They provide on-site psychedelic safe-spaces at music festivals, complete with trained “sitters” ready to talk you through a difficult experience. There’s honestly nothing worse than having a bad trip—especially at a music festival. But festival security usually fails pretty hard at dealing with people having difficult psychedelic experiences. I mean: arrests, restraints and / or sedation? No. It doesn’t have to be that way. In the event that a trip is more than psychological and medical attention is needed, the Zendo Project volunteers have direct communication with medic to arrange the proper help. The same also goes for the medic: If the issue seems more along Zendo lines, the medic will radio a Zendo volunteer to make sure the attendee is cared for properly. DanceSafe is another non-profit public health organization promoting health and safety within the nightlife and electronic music community. Perhaps you’ve seen their booths walking around LIB (and tons of other smaller festivals or events). Their set up generally includes bowl of earplugs sitting on the table, condoms, free water and postcard-size info-flyers outlining what you need to know about an array of drugs, ranging from mushrooms, LSD, heroin, cocaine, cannabis and more. LIB has practiced harm reduction for years. Yet they’ve remained quiet about it because harm reduction has a bad rep. The most common argument is that harm reduction encourages drug use. But the reality is that people are going to do drugs no matter what—regardless of whether they’re attending a music festival or sitting at home on their couch. Not providing education, people to talk to and / or safety strategies is a recipe for another EDC 2010, EDC Dallas 2011, Electric Zoo 2013, Coachella 2014 or HARD 2015, etc, etc, etc. Einstein defined insanity as doing the same thing over and over again and expecting different results. Yet that’s exactly what’s happening by prohibiting harm reduction at music festivals and punishing the producer for having these safety strategies in place. People are still (and will continue) dying due to drug-related complications if things remain as is (we can thank the RAVE ACT for that, which perpetuates this insanity). LIB has thus become a leader in the movement of incorporating harm reduction into music festivals, which is a genuine demonstration of elevated consciousness and understanding of the greater good.